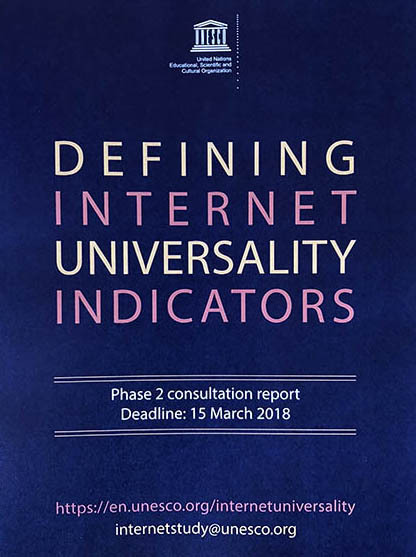 How can one establish indicators for the Internet and make them universal when governments can’t agree on the degree of freedom and access their citizens should have online, and, whether doing so is a human right. A daunting task UNESCO has been undertaking in a bid to produce a document member states will approve after which comes the equally formidable mission of implementing what’s been agreed upon. 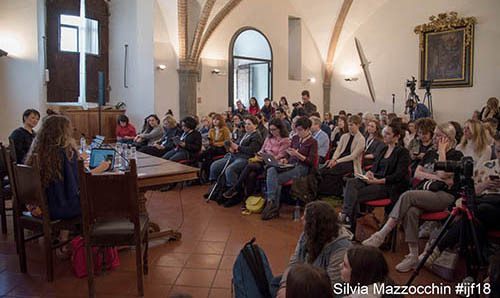 Media Unlimited director Magda Abu-Fadil pitched in after receiving the second of two drafts that came up for discussion at an invitation-only roundtable, and open follow-up session, at the annual International Journalism Festival (IJF) in Perugia, Italy in April 2018. 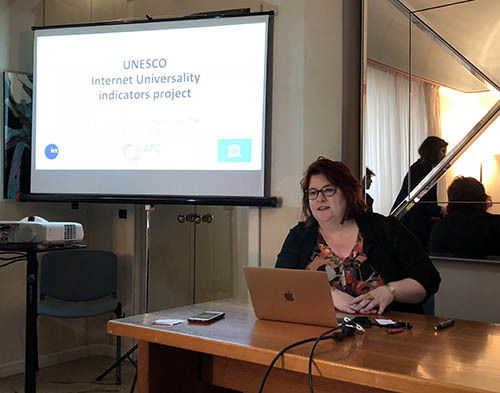 UNESCO, the UN agency with primary responsibility for media freedom and journalists’ safety, is consulting worldwide on what’s worth counting when assessing the Internet. The final ‘indicators’ will form an international standard for mapping national experiences – and for identifying where there are shortfalls. But where do journalism and the news media fit in within UNESCO’s paradigm called “Internet Universality”? UNESCO uses the acronym ROAM to identify the key principles of Internet Universality. R for Rights, O for Openness, A for accessibility and M for Multistakeholder participation in Internet governance. In terms of R(ights), how should assessments consider press freedom, journalists’ digital safety, and confidentiality of journalists’ sources and investigations? 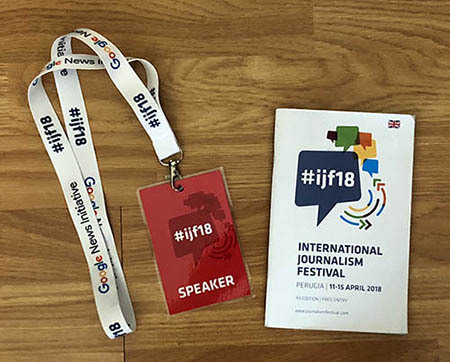 What indicators relevant to journalism come under O(penness) – encompassing open and transparent standards, markets and content? In regard to A(ccessibility), to what extent can news literacy and access to the Internet for researching and publishing journalism be included as issues worthy of attention? And, for (M)ultistakeholder participation in Internet governance issues, how significant is it to assess processes as to whether journalists are actively involved? 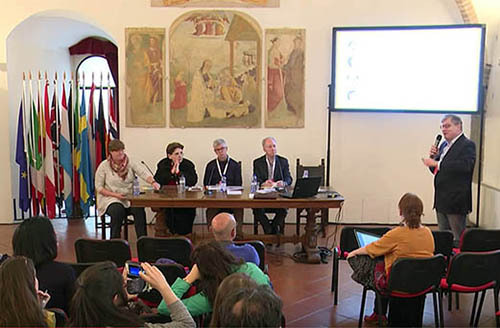 The second phase kicked in from December 2017 to March 2018, with a final report submitted to UNESCO at the end of April for consideration in September. Julie Posetti, senior research fellow at the Reuters Institute for the Study of Journalism (RISJ) at Oxford University, led the roundtable that grouped Dr. Alexandra Borchardt (RISJ), Prof. Jeff Jarvis from City University in New York, and Prof. Chris Anderson of Leeds University as the other three speakers assigned to provide key input. 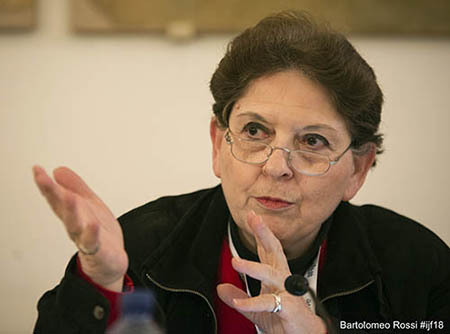 Sixteen other international experts shared invaluable comments and insights at that gathering.